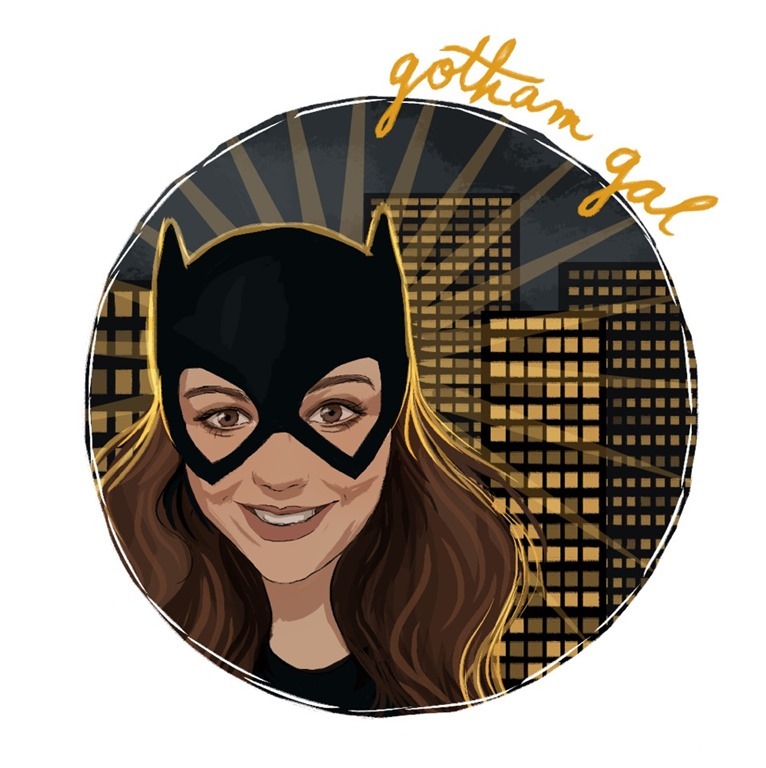 GothamGal is a devoted comic fan. Reading comics from an early age (TinTin, Archie, Katie Keene and much more), she has recently revisited her old interest and is branching out into the streets of unread comics and graphic novels! While she favors DC Comics, Marvel is slowly winning her over—but Vertigo, Image and IDW have so many new things to offer, she might just say she’s a comic fan—with no labels. She fights for literature, education and the right for ALL to read comics! Let me just say I’ve been waiting for this to come out for a while. When we last saw the Paper Girls they had just jumped from 1988 to 2016. Erin, Mac and Tiffany met up with 2016 Erin and walked into a whole lot of trouble. Giant Tardigrades are in the River downtown. A wooden ship is sailing through the air via a balloon and someone looking suspiciously like Erin (but needs a voice translator) searches for the Paper Girls. Piecing together clues, the young women have to use their gut instincts, honed from years of Paper Girl experience…and a message scrawled on a lacrosse stick. It’s important that the girls get out of harm’s way, but every step continues to propel them closer to danger. I love this series, I’ve made no secret about it. Cleveland landmarks (or even mentions) have this warming feeling within me. I don’t think it is heartburn, though… A well-written story with familiar landmarks I can recall in my memory make me squeal. My only wish was that this had been out in October when we were IN Cleveland. The abandoned mall is something I am not aware of. So I substituted a mall called Rolling Acres in Akron. I was in that mall after it was abandoned and saw snow and some other fun things. I’m not much of an urban explorer, though, because I was allowed to be there for a work thing I was doing–I worked for the person who owned the ex-Target building for a while. The art style and coloring work REALLY well with the story. This series is completely unlike any other series out there. Note: If you know of a series like this out there, please let me know, because I have a feeling I’ll become obsessed! Who would read this: Fans of strong, smart female characters. Fans of sci-fi or dystopian novels might also enjoy this, or Cleveland fans or people who enjoy action. Rating: I would say anyone from 12 and up can enjoy this series. Funny Story: I was able to navigate through Cleveland pretty well in my head, but I still don’t know the abandoned mall. I substituted a different one close in my head. Final thoughts: I cannot wait until volume 3 comes out. I am expecting some awesome and unexpected twists and turns in the next installment of Paper Girls. Paper Girls Vol 2 is available today from your favorite retailer. 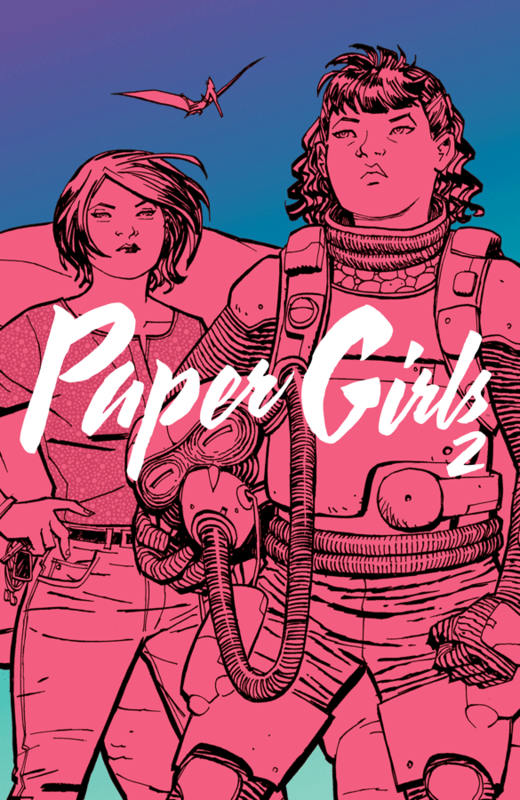 If you want to pick up the graphic novel and support this blog, at NO Additional cost to you, please click on this affiliate link to purchase Paper Girls Vol 2 from Amazon.